Reach the test center at least 45 mins before the reporting time. My test was scheduled at 4 PM and the reporting time was 3.30 PM. So reaching say by 2.45-3.00 would be good. You have to fill up confidentiality agreement form and brief instruction session for 5-10 mins is conducted by the prometric people. You are allowed in the exam room on first come first serve basis. So it makes sense to be early and grab a seat. Actually it doesn't make much difference, but it might help you when you reach the Speaking section. You'll be among the first few people who would start answering. Carry your primary identification - Your passport. Secondary identification proof(It is a must !!!) - PAN card, Driving License or a similar document with your signed photograph. Remember Employee ids/credit cards are not acceptable. A dude was not allowed to take the test as he did not carry the sufficient docs. Rough sheets/stationary,Water bottle,Cell phones.You wouldn't be allowed anything inside. Not even your wallet and watch!! !You would be alloted a Locker, where you'll have to keep all your belongings.Rough sheets and pencils are provided at the test center itself. RC is easier as compared to GRE. There are 3 reading passages, each 20 mins.Each RC has approx. 13-14 questions.The last question in all the three passages is the trickiest of all. It is to select the best inferences from the given passage.It is worth 2 points.Plan your time in such a way that u have atleast 4-5 mins to answer this last question. Isn't difficult at all. All you have to do is concentrate and take some notes here and there. Don't get distracted with noises of people who have already started their speaking section. So listening section has some 6 -8 odd tasks. Few conversations(mostly among university students who discuss their problems on campus etc and few lectures on various academic topics like biology, eco. etc followed by some questions on these discussions. This section is easily manageable. There is a 10 min. mandatory break after the two sections. You will have to leave your place and go out. [You can eat something if you have got something from home.Its a 4 hour long test after all !! ]Remember, you are not supposed to touch your mobiles during this break. isn't difficult if you know how to respond in the given time frame. Sincere Advise : KAPLAN's latest book on TOEFL iBT comes with practice cd, which has 4 practise tests. Trust me it is worth going through that !! It'll give u a hang of the entire speaking pattern.It has similar timed conditions and almost similar question pattern. After a 4 hour struggle..you are finally through!! 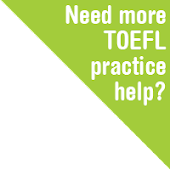 Many students want to know about TOEFL Prep Tips For Test Day to easily success in Exam thanks to sharing it. Can PAN card be used as primary identification for the test ?? I hope it is right direction for learning Study.So instructive and pacific system. Thanks special education services provide that gives knowledge and power to make right decision in the best interest and guidelines ! hey buddy thanks alot. I was confusing about kind of ID to carry..! Hey! How could someone started speaking when we were doing the listening part? They didnt take the break? Thanks for answer. Great.. Useful tips. Thanks for sharing..
Hi Thanks for the tips for the day. I took TOEFL Coaching in Delhi and the best part is we were given all the information provided here. I think this is in the best interest of the students. Would you consider paying for getting help on the speaking section from this site?